Storage Costs | How Much Does Storage Cost in 2019 on Average? Furniture storage cost is influenced by many factors. Some of them are major and impact the price significantly. Others are minor and may apply changes in the price rate but will not increase or decrease the costs a lot. Furniture disassembly service (when furniture cannot fit in a storage container or takes too much space if stored in assembled condition). Period of the storage service. The number of storage containers required. Mattress covers (or similar helpful materials). Loading and transportation to the storage, completed by movers. The average furniture storage cost for 2-bedroom property, including furniture disassembly, removals service, and storage service for a period of 2 weeks costs approximately £305. This price is simply approximate. It may be lower or higher if you reduce/increase the length of the storage period. If you have much more furniture inside your property than the average household, this may further increase the cost of the removals service. Price will be higher if you move everything from the property, not just the furniture. For non-members the storage service we offer costs ~£65/month. For Fantastic Club members, it is approximately £57/month. This is what you will have to pay for the storage service only (1 container for 1 month). Please, have in mind that your overall costs will be higher because you’ll have to pay for removals service before the storage. A team of skilled movers will come to your address and will load and transport all your furniture to the storage facility at a price rate of about £50/h. 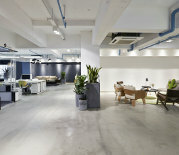 Upon additional request and if necessary, you can also book furniture disassembly service, starting at 38/h. The deposit of £15 will be returned to you at the end of the storage period. The table shows the price you will have to pay to book the storage service but later you will get your £15 refund. 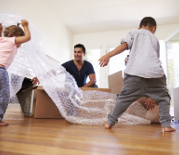 The storage service we offer is completed after movers come and load all of your belongings into moving vans. 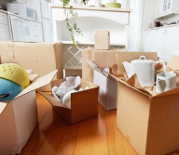 For this removals service, you have to pay apart from booking the storage containers. 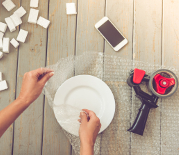 Expert movers will disassemble your furniture, if necessary and will load it into the vans for safer and easier transportation to the storage facility. The average cost of removals and storage service from a 1-bedroom house is about £313 for non-members and approximately £243 for Fantastic Club members. The average cost of removals and storage service from a 2-bedroom house is about £563 for non-members and approximately £483 for Fantastic Club members. The average cost of removals and storage service from a 3-bedroom house is about £683 for non-members and approximately £543 for Fantastic Club members. The average cost of removals and storage service from a 4-bedroom house is about £1013 for non-members and approximately ~833 for Fantastic Club members. The prices listed above are only average and your particular removals and storage service may be cheaper or much more expensive based on specific circumstances that form the removal costs. The cost for a self-storage service should be much lower than those of the removals + storage service. After all, you don’t have to pay professionals for loading and driving your items to the storage. The self-storage price in the table above is valid only outside Central London. 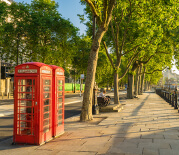 If you want to hire storage in the area of Central London, get prepared for prices at least 3 times higher. Former Content Manager at Life Storage. The cost of self-storage varies depending on your location, availability and the amount of items you plan to store. As a first step, you should decide which size unit you need. Along with the nationwide price averages for our most popular size units, we’ve included some guidelines to help you get a better idea of which size unit is the right fit for you.